In June 2014, Clowns Without Borders Australia traveled to three remote indigenous communities in the Western Desert. They performed 8 shows for 455 people. 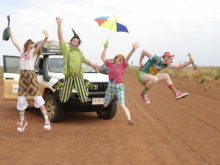 In December 2012, Clowns Without Borders Australia toured in the Central Desert. 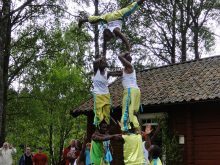 In 2011, Clowns Without Borders Australia did a tour in Australia.